Rari is a rural community located south from Santiago, in Chile's seventh region. It is renowned for its woven crafts, teached from mothers to daughters. The fact that makes Rari's handicraft so special is that it is made of horsehair! This unusual material is brightly colored and weaved to create witches, butterflies and flowers. I saw this Rari handicrafts and thought you would like them. These crafts look so light and delicate--I can't believe they're made of horsehair! The colors are so bright and cheerful. And thanks for visiting my blog. Hershey was annoyed, but she really didn't mind the hat so much ;). J. Brantes: Gracias por tus comentarios. La idea es que haya alguna muestra de nuestro país entre estos City Daily Photo (¡y espero ir mejorando la técnica!). Very colorful display. I like it a lot. 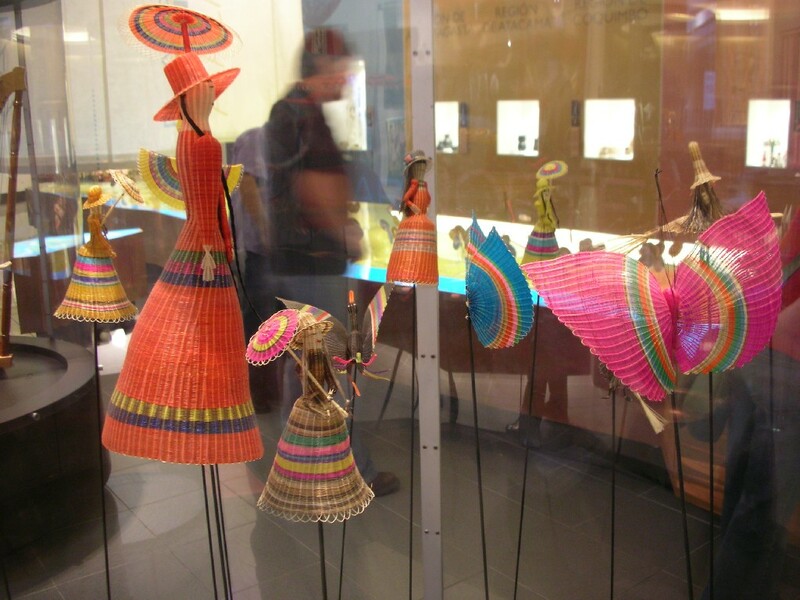 Where can I find out more about the woven dolls? I am a weaver (of textiles) and wonder if this is like a fine basket weaving technique. Muy lindo está Chile sob tus ojos, buenas fotografias, te felicito. I don't think that there's much info, as the technique is tought from mother to daughter only in this town. that's a very special form of art! Saludos y felicitaciones por las fotos.